Material China 20# 45#(CK45) 16Mn(ST52) 25Mn 27SiMn etc. American ASTM A53-B,ASTM A106-B,ASTM A178-C,ASTM A1045,ASTM A210-C etc. Surface treatment Black painting, black varnish, transparent oil, hot galvanized, 3PE, epoxy coating,BE,PE.etc. 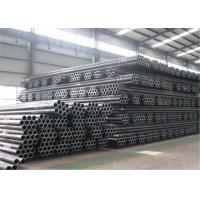 Structural pipe 20# , 35#, 45#, Q345, Q345B-E, 20Mn2, 25Mn, 30Mn2, 40Mn2, 45Mn2, 1020, 1045, S45C, ST52.ST37, S235, S275, S355, A572.